Year 4 enjoyed an afternoon of Fractals yesterday. Mrs Silcott, a teacher at Harrow School, talked to the pupils about Fractals and their occurrence in the natural world. 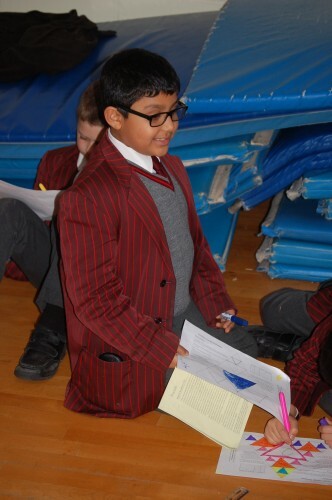 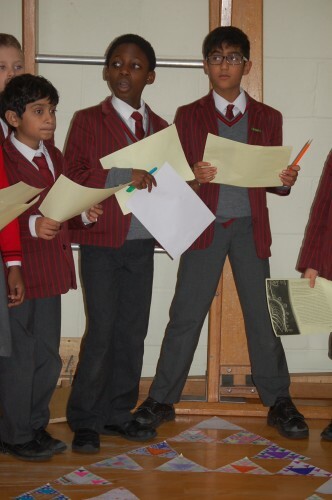 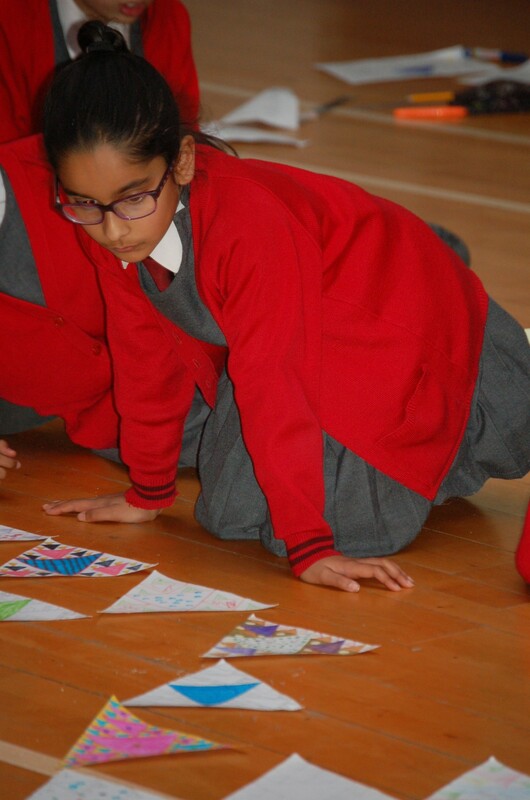 They were then invited to take part in creating their very own Fractal Triangles. 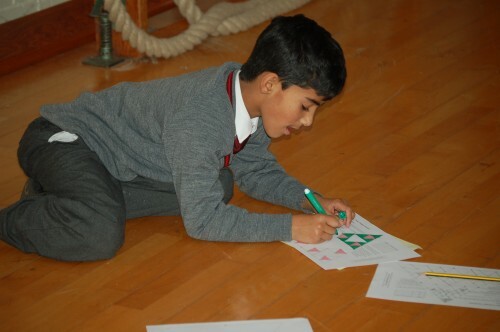 These will be forwarded to the Fractal Foundation to help break the current world record of the largest Fractal Triangle built from 6561 individual triangles but they require 3 times as many, 19683 triangles!